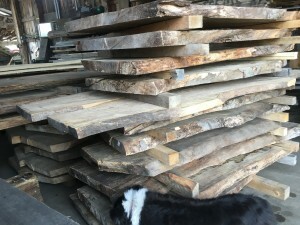 New Live Edge Slabs! 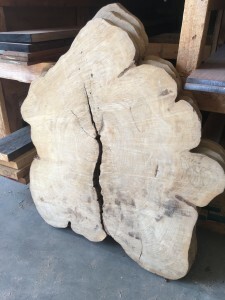 - Goosebay Sawmill and Lumber, Inc.
We just received 20 slabs in Maple, Elm, Ash and Beech. Also, we have 3 large Elm tree cookies for sale. All of these were cut between 1983-1986. They have been undercover and well taken care of since then. All of the slabs are 3″ thick with a live edge. They range from 24″- 48″ in width. Please call or email with any questions.